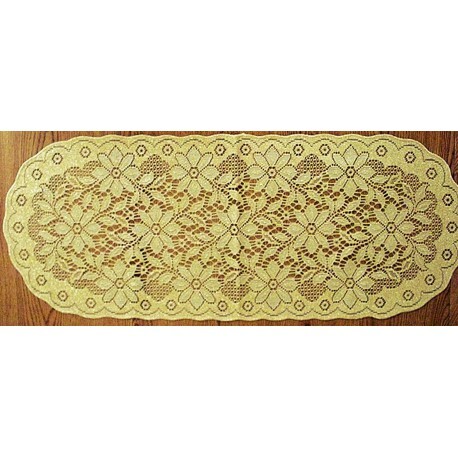 Poinsettia 14x36 antique gold lame table runner Oxford House. 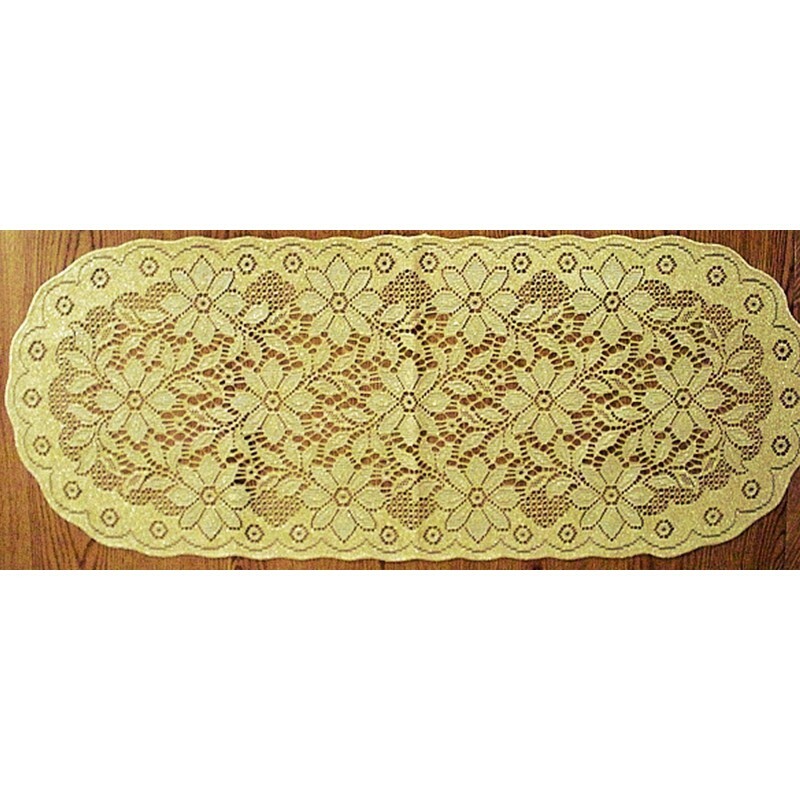 This Poinsettia table runner has bling and elegance all rolled into one. The pictures do not capture the sparkle that make the poinsettias stand out. 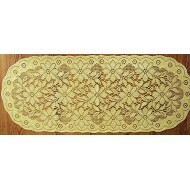 So meticulously done with stitched scalloped edges. Light and airy with the lame feel. You will receive compliments as the runner just stands out. Care: Hand wash cold. Do not bleach. Lay flat or hang to dry.